AIS Computers, Inc. offers Managed Services for small businesses, freeing you from the responsibility of maintaining your IT operations so you can focus on running your business. AIS Computers, Inc. has 24/7 monitoring in place and is on standby to resolve any IT problem that may arise. Whether it's replacing a cracked screen, a broken laptop case, or your software is acting up, AIS Computers, Inc. has technicians standing by to remedy the situation for you. Did you let scammers into your machine? Accidentally click on a bad link? Bring your computer into us and we will remove the virus and malware programs, as well as advise you on any future steps you should take.  AIS Computers, Inc. offers both onsite removable data storage and cloud backup solutions. Whatever backup needs you might have, we've got your data covered. We will take the time to formulate a cost effective and secure plan for your valuable data. Looking to redesign your existing website? Starting a new business and need a website? AIS Computers, Inc. offers web design and hosting and is ready to help you get launched. Whether you're looking for a hard drive caddy, a replacement part for a piece of machinery, or looking to print a model, AIS Computers, Inc. has the ability to design and 3D print whatever you desire. Ask us about total network and computer management of your infrastructure operations. Here is a small list of vendors that we have access to. Ask AIS Computers, Inc. about brand name hardware. We continually expand our vendor list to offer our customers the best priced hardware, software, and accessories.